The Dog TAG team are going on the road!! 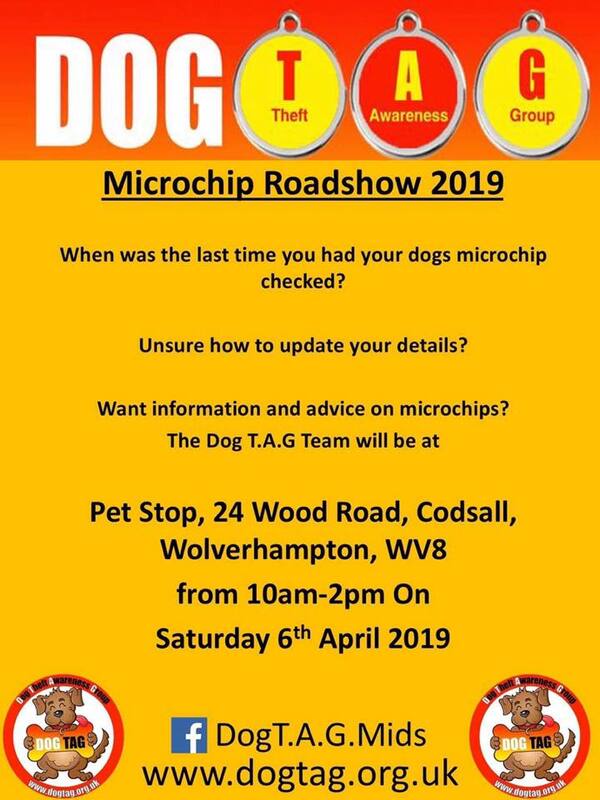 Starting in Codsall, Wolverhampton at the Pet Stop on the 6th April Between 10am -2pm we’ll be offering free Microchip checks and advice. Pop along and say hello and have a chat.